We've covered technology to reduce paper use when printing. What about reducing ink use? A high school student's study found that his school could save $21,000/year by switching typefaces...and the United States government could save $234 million! The NCAR-Wyoming Supercomputing Center (NWSC) in Wyoming "provides advanced computing services to scientists studying a broad range of disciplines, including weather, climate, oceanography, air pollution, space weather, computational science, energy production, and carbon sequestration. 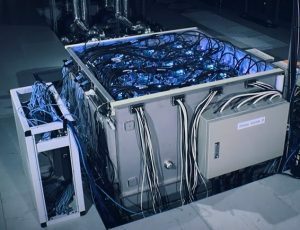 It also houses a landmark data storage and archival facility that will hold, among other scientific data, unique historical climate records." It has also become of the focus our largest Twitter discussion of the 2013.